Double-breasted waistcoat with shawl collar and 6 mother-of-pearl buttons closure and 2 double welt pockets Back lining ... Double-breasted waistcoat with shawl collar and 6 mother-of-pearl buttons closure and 2 double welt pockets Back lining with elastic band to adjust width. 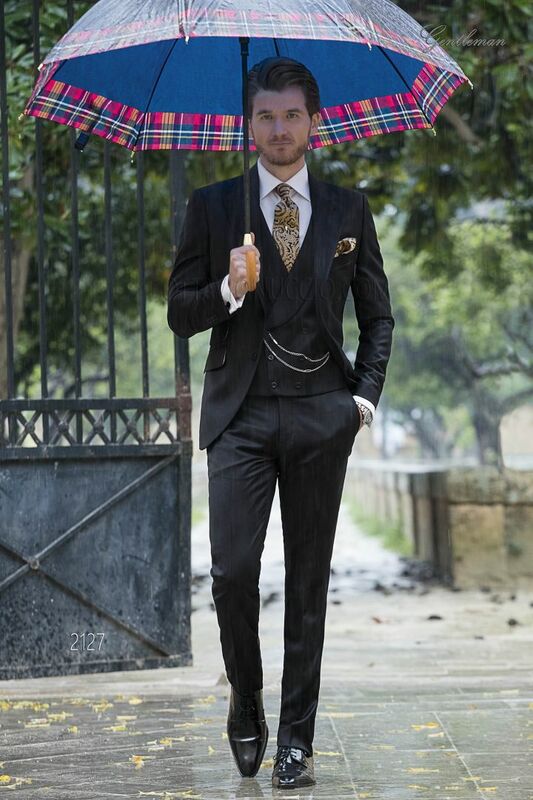 8.5cm tie and handkerchief set made from black and gold jacquard silk paisley pattern. Handmade. Cadena color plateada con eslabones. Acabado niquelado.